There’s a bit of concern surrounding the Ducks’ 2020 recruiting class. Right now, the Ducks rank 33rd in 247Sports’ composite rankings, behind the likes of Iowa State, Boston College and BYU. For a team that ranked in the top 10 in the previous cycle, it seems problematic that the Ducks haven’t even cracked the top 25 in this year’s go around. But what if I told you that, not only are the Ducks in great shape to once again finish near the top of the pack, but they’re actually ahead of where they stood this time a year ago? Don’t expect the Ducks to linger among the bottom dwellers for much longer. 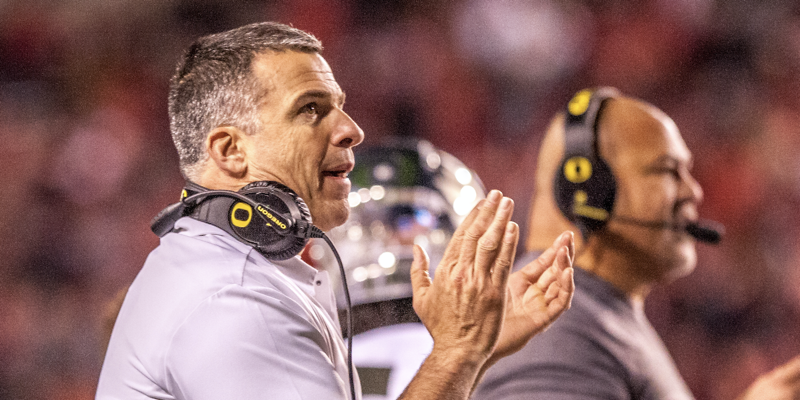 Mario Cristobal and his staff have a plan, and the results of it will be well worth the wait. Why Are the Ducks Ranked so Low? The Ducks are in great shape contrary to popular belief. But it’s not an apples-to-apples comparison. Teams’ classes vary in size based on relative attrition and available scholarships. For example, Ohio State’s 2019 class finished outside of the top 10 for the first time under Urban Meyer. But a closer look at their class shows that it may have been one of his best efforts. The Buckeyes signed just 17 prospects, as they didn’t have a ton of available scholarships. However, their class’s average rating of 91.87, a much better indicator of its strength, was third in the country behind only Georgia and (guess who) Alabama. With such limited space, the Ducks can afford to be more selective with whom they pursue. The staff has been targeting premier prospects rather than settling for early commitments from low-ranked recruits. 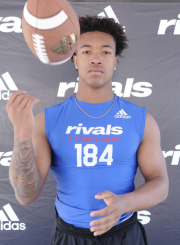 Oregon does have commitments from a couple of three-stars, but both players are ones that the staff views as better than their rankings suggest. Peter Latu may be under-ranked. To summarize, the Ducks are tight on numbers and are using the Spring to gauge the interest of top prospects. There will be some three-stars, as is the case with nearly every class, but only ones that the staff views as high-potential candidates. Things will start picking up very shortly, and the Ducks’ ranking will skyrocket accordingly. Even with a three-man class at this point, the Ducks actually are ahead of schedule when compared to the 2019 class. At this time last year, the Ducks had just a single commit, and we all know how well they finished. Considering that they already have three prospects on board, there’s no reason to panic. And this year, the Ducks have a legitimate shot at landing more than just one five-star. Everyone is eager to see which running back the Ducks sign this year, and their short list is full of elite talents. Kendall Milton is a five-star back who, at 6’2”, 220 lbs. has the size of a bell cow and the athleticism of a burner. He’s the top target at the position on Oregon’s board, and the Ducks are big players in his recruitment. If Milton goes elsewhere, the Ducks have plenty of high-profile alternatives, including four-stars Tirek Murphy and Sam Adams II. And if none of their options pan out, they’re perfectly content to not sign a running back at all in this class. Good teams don’t settle. There’s a bunch of prospects to choose from next year as well. 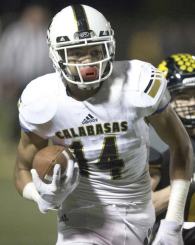 At receiver, two local stars, Casey Filkins and Silas Starr, have significant interest in the Ducks. But they’re not quite the caliber of player that the staff is targeting, so the Ducks are in wait-and-see mode with both players. 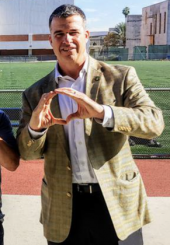 Instead, Oregon is hoping to land some of the higher-ranking prospects at the position. The biggest name that the Ducks are in on is Johnny Wilson, a 6’6″, 220-lb. five-star whose former teammate Mycah Pittman just signed with the Ducks in the 2019 class. Wilson has Oregon as one of his five finalists, and the Ducks have a great shot at getting a commitment from him. Jermaine Burton and Jalen McMillan are two other top-50 prospects whom ScoopDuck considers legitimate targets for the Ducks. Oregon probably won’t sign all three of these guys, but just one or two of them would be a great addition to a class that is tight on numbers. Finally, at linebacker, the Ducks have a trio of game-changers that they are looking to add on. Oregon is heavily recruiting five-stars Sav’ell Smalls and Justin Flowe — both top-10 overall prospects. And four-star Noah Sewell, brother of current Oregon offensive tackle Penei Sewell, is a high-ranking hard hitter who is a heavy Oregon lean. Again, don’t expect the Ducks to add all of them, but even one or two of these linebackers will vault their class into the upper echelon. Long story short, the Ducks are not only doing fine; they’re thriving. This class may not rank as highly as last year’s in the end due to the sheer volume of the 2019 class, but the average rating should be similar if not superior. The Ducks aren’t just throwing darts at a board and hoping for the best. They’re seriously in the mix for a handful of five-star and high-ranking, four-star prospects — more so than they were a year ago. 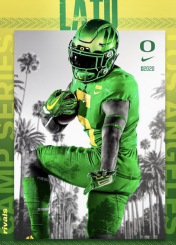 And with ScoopDuck reporting that there are as many as 50 prospects expected on campus for the spring game, Oregon’s class is about to get a whole lot stronger very soon.